As each day passes, information grows out-of-date and becomes less accurate: new subdivisions are built, cities are annexed, and roadways are enhanced or changed all together. Aerial Digital Orthophotography is a special type of photography that is encoded with the correct latitude and longitude coordinates, enabling it to be used in a number of applications. 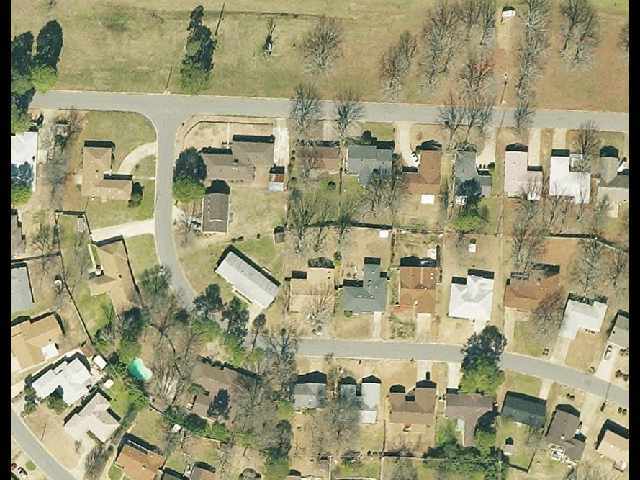 This type of photography is taken from a plane or satellite above a specified location enabling coverage of a large area at one time, which is ideally suited for mapping. The image is then loaded into a computer and overlaid onto a base-map for analysis and processing of clear and precise images of the location. 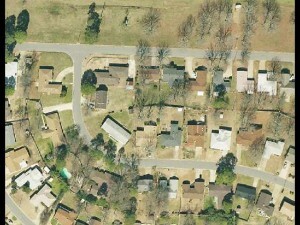 The maps that result from Aerial Digital Orthophotography are known as Digital Ortho Quads (DOQ). When the data becomes old, a new flight mission can be arranged to recapture new photographs and data of the location. Current,comprehensive, and precise map information is a crucial part of the decision-making process and analysis of land formations, geographic features, and locations. The images serve as the foundation for digital overlays of industrial parks, infrastructures such as water, power and gas lines, or administrative boundaries such as school districts or city boundaries. In fact this data is the most popularly requested data by GIS users and the public, and remains a priority layer of the State GIS Board. The Arkansas GIS Office provides leadership on and holds the procurement contract on statewide image database updates when funds are available. Upon request the agency works with County and City government to define specifications, determine quality and seek out partnership opportunities to share in funding local projects. Following the acquisition of local level projects the GIS Office publishes local digital ortho image data on GeoStor, thereby increasing the value and use of the data and reducing duplication. Our long range goal is to develop one foot resolution orthophotography on a three year cycle covering one-third of the state each year. The estimated investment is between $1 and $1.2 million annually.